Guards are supported by a 24 hour control room, where required, lone worker devices, and mobile back up. Regular management visits are made to sites. Where required we install patrol monitoring devises on the client's premises and periodic patrol print outs presented to the client. In today's economic environment where theft and vandalism are becoming more commonplace, security risks to all businesses are increasing along with increasing insurance premiums. These risks include loss and damage to vital assets and could result in serious damage to the business due to loss of business continuity. Offices, factories, warehouses and building sites are increasingly vulnerable, especially out of hours. Those that are in remote locations and have high value stock, materials or equipment are even more vulnerable. Many businesses rely solely on alarms and CCTV to protect their premises and dismiss Guards to be too expensive. However the right complementary mixture of manpower, technology and procedures is a worthwhile investment. Guards are able to see some areas that CCTV cannot. This is particularly true in a warehouse or factory environment where things are moved around and may sometimes be stored beyond camera range. Also people moving around continuously may hide some suspicious activity that CCTV cannot pick up. Guards are able to use judgement. They are able to pick out situations and events that they feel are threatening or suspicious and take immediate action. 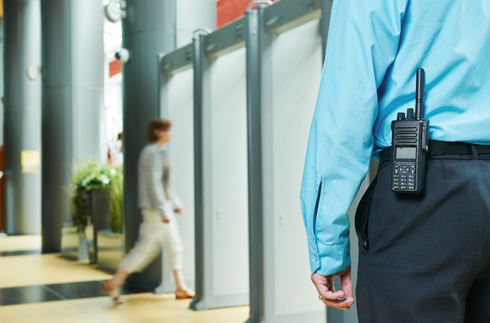 On site Guards are able to react quickly and effectively to intruder alarms and video surveillance alarms. The technology in this instance can only detect a security breach but do nothing about it. The presence of Guards on a site is more likely to be a deterrent to intruders than CCTV and alarms. Good trained and motivated Guards are able to provide flexibility and a variety of skills to meet a range of situations including unusual activity. Technology does not have this flexibility nor can it be proactive. 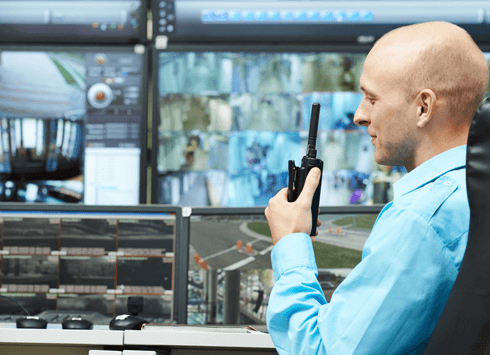 Therefore the use of Guards in addition to CCTV and alarms provides more in depth security and although it costs more, loss prevention, business continuity and reduced insurance premiums may outweigh the costs.